The "Star of Adam" | Image via YouTube. 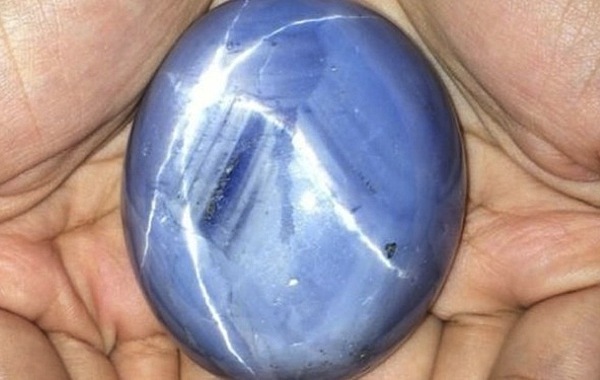 The world's biggest blue star sapphire — weighing in at 1,404.49 carats, equivalent to about 280g — has been found in a mine in Sri Lanka. Local gemologists say the gem is worth at least $100 million, but could sell for up to $175 million. According to Ceylon Today, the sapphire was discovered last August in Ratnapura, a town in southern Sri Lanka known as the "City of Gems." The current owner, who wants to remain anonymous, told the paper the sapphire was "destined to be a priceless museum piece," adding that the stone is so big it "cannot set in any kind of jewellery." The sapphire has been named the “The Star of Adam” after a Muslim belief that Adam arrived in Sri Lanka after being sent away from the Garden of Eden. It is claimed he then lived on the slopes of a mountain now known as Adam's Peak. Star sapphires get their name from the six-pointed star-shaped reflection that appears on their surface once they are polished. Ratnapura’s gem-bearing gravels have yielded a number of historic gemstones, including a giant oval-cut spinel, known as the "Black Prince Ruby" (it was mistakenly identified as a ruby), which features in the British Queen's imperial state crown. | Image courtesy of Historic Royal Palaces. According to Simon Redfern, Professor in Earth Sciences at The University of Cambridge, Sri Lanka has been known for its gem deposits for more than 2,000 years. “It seems likely that Sinbad's ‘Valley of Gems’ in the Tales of the Arabian Nights is a reference to the Ratnapura area,” he wrote in a piece for The Conversation. 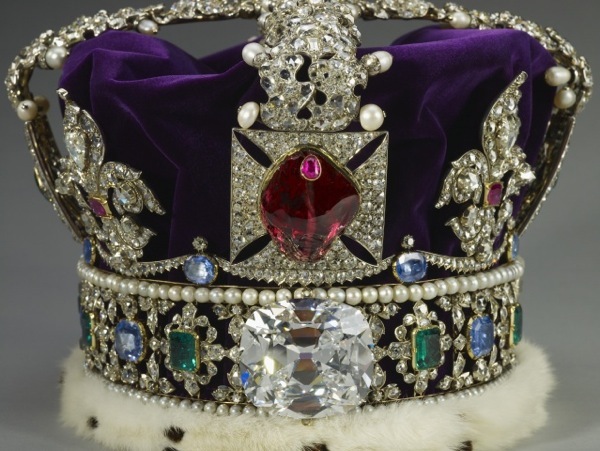 He noted that the town’s gem-bearing gravels have yielded a number of historic gemstones, including a 400-carat red spinel given to Catherine the Great of Russia, and a giant oval-cut spinel, known as the "Black Prince Ruby" (it was mistakenly identified as a ruby), which features in the British Queen's imperial state crown. 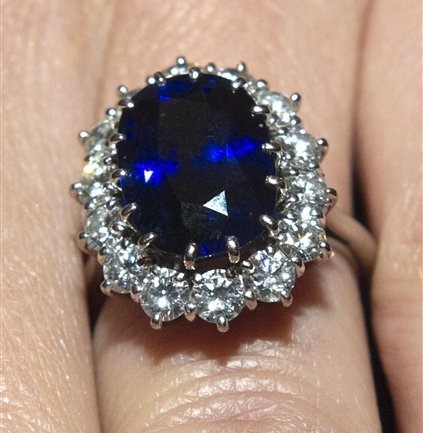 The Duchess of Cambridge's engagement ring, formerly owned by Princess Diana, features a large Ceylon Blue sapphire. | Image via YouTube. Official figures show Sri Lanka's gem exports increased by 135%, from $70 million in 2010 to $165 million in 2014.